An Fear Moncai sent me flowers, because he is far away and it has been a trying week. 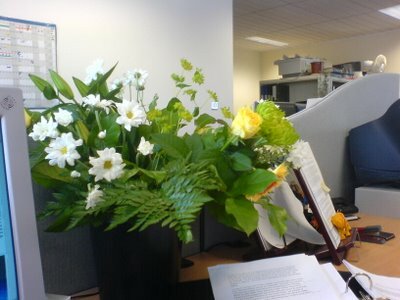 The great thing is, I sit way up at the end of my office, so the flower man had to walk past all my coworkers to get to me. Hooray!